If you’re on the NorCal Facebook group, join event. Celebrate one year of great beer and adventures on the Camino on Sat. April 6th, from noon – 11pm at our taproom. Get there early to snag a bottle of their limited barrel aged beers. Enjoy live music from great local bands and delicious food will be provided by Mollie’s Catering, and Barya Kitchen. Click here for schedule and details. Feliz cumpleaños, Camino Brewing!!! I hope to make a beer pilgrimage there via Amtrak sometime this summer. If you cannot make it on Sat. the Silicon Valley chapter is hosting an event there the next day! See below…. 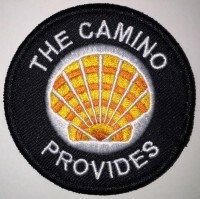 Event hosted by American Pilgrims on the Camino – Silicon Valley Chapter. The good folks over in the Sacramento Chapter are hosting a free event to talk about your Camino! They have completed a three part session at REI (beginning again in June! ), however, there may still be questions to ask, nerves to calm, and hearts to inspire!! What do you still want to know before you head out for your Camino? Questions about your pack? Bring it! Wondering about special albergues, alternative routes or dietary concerns? Ask about it! This will be an evening of returnees and new walkers – sharing information, sharing stories … and ultimately, creating community! Returnees … please come out and share your experience with all of those preparing to leave! Thinking about walking The Camino Portugués? Or walking the route again? Join us Wednesday, April 10th, 6 PM, at the West Berkeley Public Library, for a discussion on The Camino Portugués Coastal Route. Mike Dickman and Todd Rydstrom walked from Porto to Santiago in September 2018. They’ll share their experiences and the spirit of the Camino Portugués. Questions welcomed. Ultreia! Did you know you can do an amazing 2-day coastal hike, with a stay in a hostel, right here in the Bay Area? Join fellow pilgrims for a Mini-Camino along the gorgeous San Mateo County coast with a night at the Point Montara Hostel. HOW TO RESERVE: Contact Lisa Hettler-Smith and she will let you know if there are still spots and send a PayPal link. Once she receives payment, your spot will be confirmed. Walk from Pt. Montara to Half Moon Bay. (8.3 miles, mostly flat, right along the coast). Optional stop to visit Fitzgerald Marine Reserve on the way. Lunch is at one of several restaurants at Pillar Point Harbor (about 1/2 way to HMB). If you prefer not to eat in a restaurant, you can bring a bag lunch for Sunday as well. We will arrive back to the cars in HMB very roughly around 3:30pm. If you’re a fast walker, you don’t need to stay with the group, and can make it a shorter day. Tried and true! I have been to two Flamenco shows here and they have some rotating musicians. The seats will sell out fast, so if you like Flamenco, go for it! They have a good menu, including beer, wine, and sangria. Ole! Enjoy the beauty of the Golden Gate National Recreation Area and springtime flowers as we hike thru the Marin Headlands, adjacent to Sausalito. Expect a moderately paced 10 – 11-mile hike with a 2,000 foot elevation gain. We will hike thru parts of both Gerbode and Tennessee Valleys. Now part of the GGNRA, both Gerbode and Tenessee Valleys were intended to become the town of Marincello with a population of 30,000. Hiking poles will help on this hike because there are lots of gradual ups and downs. Level of Difficulty: 3B (10 to less than 15 miles, less than 2,000 ft elevation gain). Cancelled by rain. If weather questionable, call (510) 526-5530 for an update message. For insurance purposes, we are unable to welcome dogs, except service animals, at our events. Click here to see email announcement for more details. Organize carpooling via the event on our Facebook Group. Whether you’re embarking on the trip of a lifetime or getting your feet wet with a new activity, personal outfitting and fit appointments can save time and set you on the path to success. Book a free appointment at your local store. 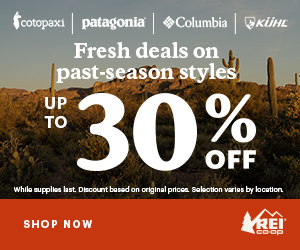 Not every REI store offers personalized fit appointments. But never fear—every store is staffed with gear experts happy to help you find what you need. Even without an appointment, you can always come in! I wish everyone a wonderful Easter, Passover, Earth Day, fiestas, or holidays of your choice. And to everyone heading out on a pilgrimage, Buen Camino! For other types of events, visit my Yoga & Wellness website at lferris.com. Limited edition 2019 patches have sold out much earlier than expected, but more are on the way. Original patches are $4 each at etsy.com/shop/caminoprovides.